The GroVia Hybrid System, according to GroVia's site, "combines the industry’s most innovative (and cute!) waterproof cloth diaper shells with a super-flexible suite of absorbency layers – including both cloth and disposable options. Finally, parents are free to use earth- and baby-friendly diapering approaches that fit any lifestyle. From travel, to daycare, to time at home, hybrid cloth diapers have you covered." Below I have reviewed the shell, as I do not have the organic cotton snap-in soakers or the disposable BioSoaker pads. 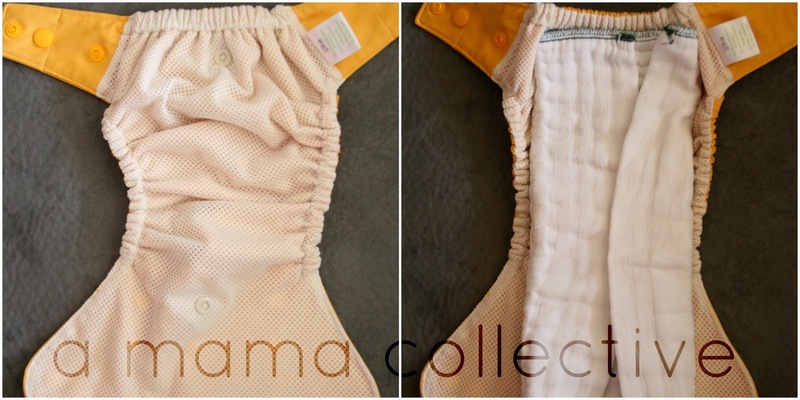 I want to get the awesome bamboo/organic cotton prefold diapers badly! 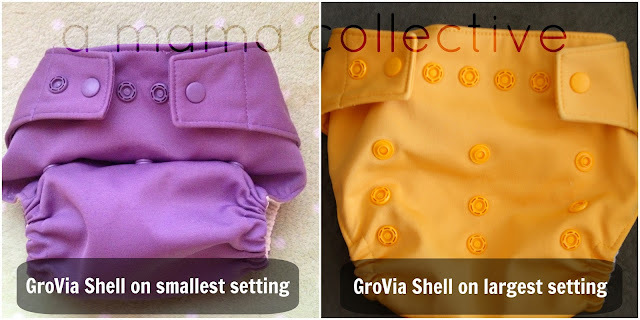 Photographed inside the GroVia shell is a cotton prefold (different than the GroVia bamboo/organic cotton prefolds). I just wanted to show what it looks like to have a prefold cloth diaper folded in the shell. Every time baby pees or poos, you just replace the prefold on the inside and place a new one inside the shell, as long as the shell didn't get soiled with poo. The GroVia Shell fit my newborn at 5 days old and my 2 year old AT THE SAME TIME! easily and quickly put on baby - NO FUSS and "husband-approved"
LOVE IT! I wish I had more!